Premium 14.5 x 6.25 inch Stainless Steel Center-fed Pipe Burner. 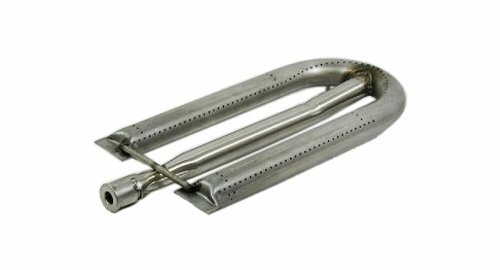 Stainless steel center-fed pipe burner for Gas Grill Models American Outdoor Grill 24NB, American Outdoor Grill 24NG, American Outdoor Grill 24NP, American Outdoor Grill 24PC, American Outdoor Grill 30NB, American Outdoor Grill 30PC, American Outdoor Grill 36NB, American Outdoor Grill 36PC. Fits: American Outdoor Grill 24NB, 24NG, 24NP, 24PC, 30NB, 30PC, 36NB, 36PC. PREMIUM QUALITY: Premium Stainless Steel Center-fed Pipe Burner. Better than the original! PERFECT FIT: 14.5 x 6.25 inch (14 1/2" x 6 1/4") Burner is guaranteed to fit!